There will be five game one’s on Wednesday with the remaining three on Thursday. The all-conquering Tampa Bay Lightning will face the Columbus Blue Jackets with Game 1 at the Amalie Arena on Wednesday. The Lightning tied the 1995/6 Detroit Red Wings for most wins in a regular season with 62, alongside a massive 128 points, led by Nikita Kucherov, who picked up 128 points himself, the most by a Russian born player in the NHL, nobody will fancy playing the Lightning. 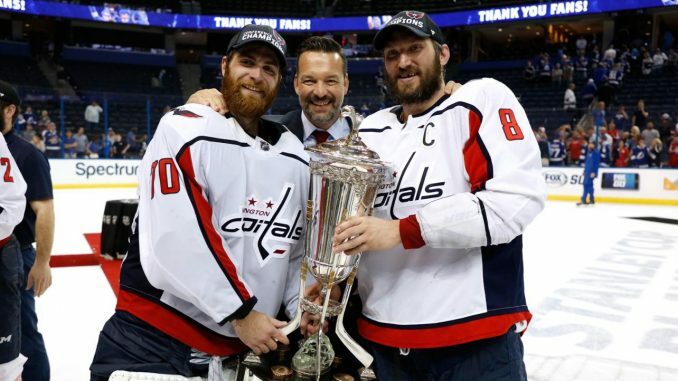 Washington Capitals will be looking to make it back to back Stanley Cup wins but will have the Carolina Hurricanes standing in their way in the first round of the play-offs. Hurricanes are in the playoffs for the first time since 2009. The Boston Bruins and Toronto Maple Leafs meet in the Eastern Conference First Round for the second straight season. Boston won in seven games last season when the sides met. Game 1 is at the TD Gardens on Thursday. Last season’s runners up in the Stanley Cup Final the Vegas Golden Knights will have to overcome the San Jose Sharks in the Western Conference 1st Round. The opening game is at SAP Centre on Wednesday. The Vegas Knights defeated the Sharks in six games on the way to the final last season. Other games in the playoffs will see the Winnipeg Jets face the St. Louis Blues in the Western Conference first round. Also, in the Western Conference, two sides who have never ever met each other in the playoffs will see the Nashville Predators face the Dallas Stars, with Calgary Flames up against the Colorado Avalanche. In the Eastern Conference, the New York Islanders will be up against the Pittsburgh Penguins. The Islanders, have a fine play-off record against the Penguins, having won three of the previous four playoff meetings. So, folks let the playoffs begin. Best of luck to all 16 teams who have made their way to this stage of the season.